First of all, let me introduce myself. My name is Taren Rohovit and I’m from Utah. I’ve been playing the Pokémon TCG close to eight or nine years now. I’ve been interested in rogue decks ever since I was able to use one to grind into my first World Championships in 2007 as a Junior. Now here I am, eight years later: I’m in the Masters Division and still interested in rogue decks. However, these decks have evolved slightly since my days as a Junior. What I have fashioned up for you today is an unusual lock deck, atypical from the type that focuses on disruption of your opponent’s hand, Energy, or setup. However, it still shares the common goal of preventing your opponent from attacking. This deck utilizes Pokémon with Abilities such as Suicune’s Safeguard to stop your opponent’s attacks from having any effect. With all three weekends of States out of the way, and even a few Spring Regionals, I thought it was time to unveil a rogue deck that I have been working on and playing the last couple tournaments. Ever since Cities I’ve been very interested in cards with Safeguard. I had tried several variations of decks based around them, pairing them with many different Pokémon. It wasn’t until Trevenant XY was released that I felt the deck concept could evolve into something better. After many experiments I decided these “wall” Pokémon just couldn’t do enough damage. This was after I played an Archeops/Suicune/Silver Mirror deck at Long Beach Regionals. I needed to solve this problem, and the answer also lay within the new set: Muscle Band. This card allowed a damage boost for these “wall” Pokémon, however then I couldn’t also attach Silver Mirror, which was much needed to defeat non-EX Plasma Pokémon. I came to the conclusion I needed to “switch in” to these “wall” Pokémon after attacking. Palkia-EX was the perfect attacker. Two Deoxys-EX and a Muscle Band boosted his Strafe attack to a convenient 90 damage, allowing for 2-shots against almost any Pokémon, and thus the deck was born. 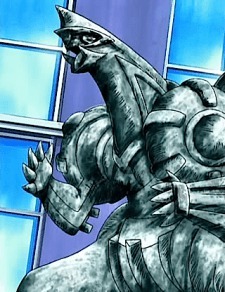 Palkia sitting cool on the Bench. Palkia-EX is a great attacker that allows for switching into a “wall” every attack, conserving Energy, and preventing Prizes from being taken. Trevenant is used mainly against Plasma. 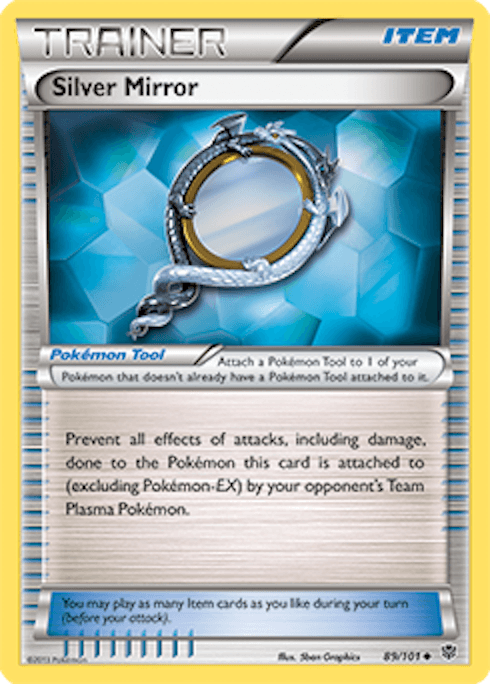 Combined with Silver Mirror and a Float Stoned Keldeo-EX, this card makes the Plasma matchup extremely favorable. 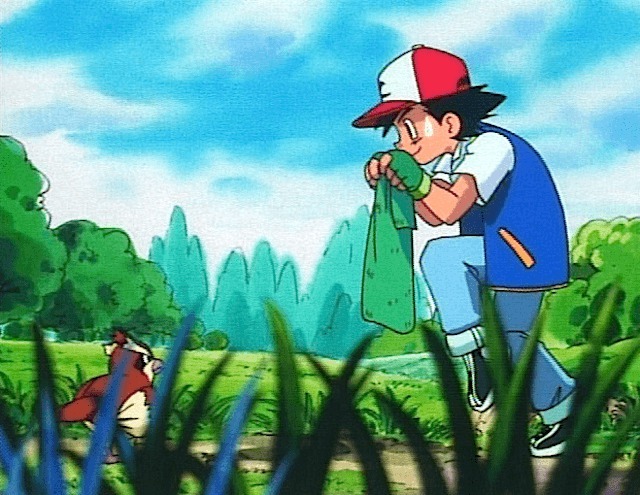 In addition, it is used late game against Blastoise to prevent them from playing Superior Energy Retrieval. Even early game against Blastoise it is possible to stun them by preventing a Rare Candy into Blastoise; that is if you get Trevenant up and running quickly. Deoxys-EX boosts the damage of Palkia-EX while providing a good counter to a big Yveltal-EX, Genesect-EX, Keldeo-EX, Mewtwo-EX, and any other Energy hog. Suicune is used to stop any EX deck from attacking with Pokémon they prefer. Combined with Latias-EX and Trevenant, it’s used in different situations to prevent knockouts. Matchup wise, it’s mostly used against Blastoise, in combination with Latias-EX to stop anything they can throw at you (with the exception of Black Kyurem BCR, which I will talk about later). Latias-EX forces the use of Black Kyurem-EX PLS, which is easily one-shotted with Palkia-EX. This card is essential to getting those last two Prize cards against the Blastoise matchup. In the unlikely event of seeing an Empoleon deck, this card will also save you. Genesect-EX is used mainly for Red Signal to finish off Pokémon which have been switched to the Bench after being Strafed. If you decide to play Rainbow Energy, Genesect can be used to 1HKO a Keldeo-EX if needed late game. Keldeo-EX is used with Float Stone to easily switch between your “walls.” It mainly only used in the Plasma matchup combined with a Silver Mirrored Trevenant. Bench space is usually spent on other Pokémon when facing matchups other than Plasma. 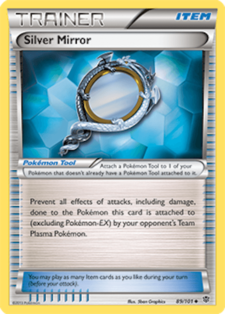 This card is fairly obvious: it’s attached to Trevenant to stop Plasma, forcing their only out to be Red Signal as they can’t play Tool Scrapper due to Trevenant’s Ability, which is fairly easy to play around considering it is their Energy attachment for the turn. Because of the situational nature of this deck, different cards can be needed at random times. Combined with Skyla it is incredibly useful for grabbing that Plasma Energy or “wall” Pokémon you need at the time. I love this card. When a Plasma Energy or Supporter is prized, it’s very reassuring to know you can get it when needed. By knocking out a Pokémon you are also, in turn, essentially getting more set up. To fit one in, drop a Tool Scrapper or Colress Machine. This deck has no overall strategy other than Strafe into Pokémon. Because of this, many people will find this deck hard to play, including myself. The deck plays differently against each matchup, so I’m going to go over each deck individually. For the purposes of this discussion we’ll assume by turn two to three Palkia-EX is doing 90 damage. If this is popular in your area I would advise teching in a Spiritomb LTR, or even two. Spiritomb eliminates the issue of a Red Signal + G Booster, especially if you Silver Mirror the Spiritomb. The main problem in this matchup is their ability to kill off your Palkia-EX fairly easily. Without Spiritomb, you’re going to want to try and keep a Silver Mirrored Trevenant Active as much as possible to stop them from dropping G Booster. However, if they have the Booster in the same hand as a Plasma Energy, you just have to hope you can recover after your Palkia-EX is knocked out. Verdict: Without a tech Spiritomb, it is not in Palkia’s favor. With a Spiritomb, it’s slightly in Palkia’s favor. If you go first, then go for a turn 2 Trevenant, as the extra turn without Blastoise on the field is always helpful, but not essential. Get out a Suicune and a Palkia-EX, either one-shot Black Kyurem-EX or set up knockouts on Keldeo-EX, whichever they have Active. 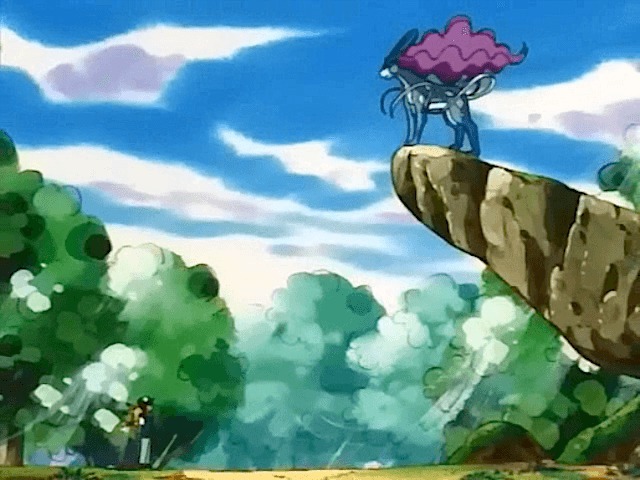 Allow for them to kill a Suicune with Baby Black Kyurem; it is easily revenge KO’d, plus you play more than one Suicune. After the BBK is gone, use Latias-EX to force a Black Kyurem-EX Active, and one-shot it. Verdict: If they don’t play Catcher, then it’s extremely favorable. If they do play Catcher, it still definitely in Palkia’s favor, however obviously it’s going to be slightly less favorable than if they played no Catcher. Plasma is a piece of pie. Get out a Trevenant with a Silver Mirror ASAP with a Keldeo-EX and a Float Stone attached. Strafe into Trevenant each turn. Red Signal isn’t a huge issue because they waste it as their Energy attachment that turn. I usually try to Red Signal their Genesect twice to secure the win. Verdict: If they play Catcher instead of Genesect-EX, it’s extremely favorable. 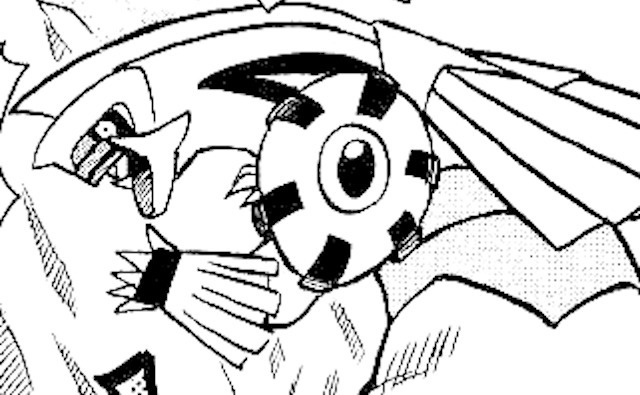 If they play Genesect, it’s still very favorable, only slightly less than if they played Catcher. This matchup is very difficult due to the amount of things that need to happen to give you a chance at winning. First, you need to get two Energy and a Muscle Band on a Deoxys-EX. Next, be able to play a Tool Scrapper and Plasma Energy to Red Signal up the Garbodor. Both need to happen in the same turn. Once it’s dead the matchup becomes slightly favorable due to the resources your opponent has had to sacrifice to play Garbodor. Verdict: A very poor matchup; definitely not in Palkia’s favor. Slightly easier than the Garbodor version, depending on how many Hammers they play. If they only play two, it’s manageable but still difficult. The Psychic Energy and Colress Machine help in this matchup. Verdict: Although easier than Garbodor versions, it’s still not in Palkia’s favor. Use Suicune and Latias as needed; nothing too special. Again, however, look out for Catchers and Lasers, as both can reverse a game instantly. While you do run counters for almost every Pokémon in their deck, if they get lucky with a few Catchers or you stay Asleep a few turns from Laser the match can quickly turn. Because of this I think the matchup is down to coin flips. It’s important to watch out for Baby Yveltal because it can knock out Suicune. Snorlax is your counter to this situation. The idea is to use Shedinja to prevent Prizes from being taken. This has a better matchup against Dark Rush since Baby Yveltal can’t do anything. However, the Plasma and Blastoise matchups become harder because you no longer have definite answers to them, although I would still call both fairly even if not favorable. Although the games don’t go forever, the third game does occasionally go to time. One Lugia-EX is a decent idea. Especially combined with the Muscle Band and and benching all three Deoxys-EX, it could be a nasty surprise for your opponent, even more so if you decide to play Scramble Switch. Bench space is a problem, however with practice it gets much easier to manage. One Cassius allows for an early game drop of a Pokémon which later maybe isn’t needed. It also functions as a makeshift Max Potion. Emolga allows for another attacker against Yveltal decks that can one-shot both Yveltal-EX, Yveltal XY, as well as Lugia-EX. This version drops Trevenant and sometimes Latias and Suicune. While it still has favorable matchups against Plasma and Blastoise, it’s not that close to that auto-win I loved. However, it has a better matchup versus Dark decks and theoretically Genesect. Overall it is a more rounded version of the deck that has a more straightforward strategy. Thundurus-EX is used to kill off those pesky Baby Yveltals in one hit when combined with Muscle Band and a few Deoxys-EX. Against any deck that plays Hammers, Thundurus-EX can also help get your Energy cards back into play. Overall I love this deck. Not only was it very fun to play, but it also has proven to be very successful for me, especially in the current meta which is huge in both Blastoise and Plasma. This deck can easily get paired against a majority of good matchups at an event. I hadn’t tested against Darkrai or Genesect much and because of this I lost in Top 8 twice as I ran into both. My third States was packed with Darkrai and I ended up scooping to a friend to help him make cut, which took me out of the running. I had also previously tied against a Klinklang Fairy deck, as well as a Darkrai, which played at least 3 Enhanced Hammer; both of which I knew would be very difficult to win, and I was lucky to get off with ties. If you’re a fan of rogue decks, or just want to play something new, I recommend trying this out just to dole out a few headaches. Thank you for your time and I appreciate any constructive criticism as this is my first article. If you have any questions feel free to ask!